Whether you’re in the heathcare industry or are just looking for a way to let your customers know that you care about their health, medical promotional products are great marketing products for tradeshow giveaways and more. If you’re looking for quality promotional health products, Seaboard Graphics can help. We’ll imprint or embroider your logo for a great custom look. Our promotional items make great giveaways at conferences, trade shows and orientations. Leverage your marketing by choosing products that reflect your company and commitment. Are you dedicated to relaxation? Select from our wide range of bath and body products. Pamper prospective customers and new employees with high-quality promotional manicure and pedicure sets. Keep them healthy with custom logo imprinted hand sanitizer. Medical promotional products don’t have to be stuck in the exam room, put your brand name on travel kits, pill cases and tons of other custom healthcare items. 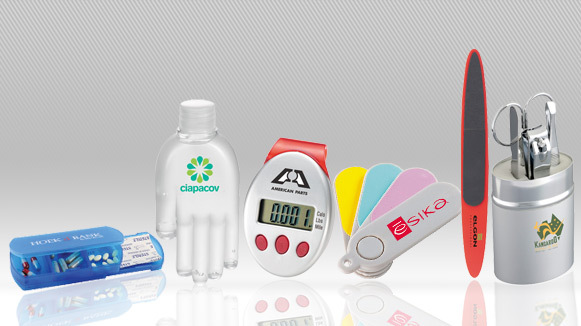 Imprinted health items are a terrific way of marketing your company’s name to hundreds of potential customers. Seaboard Graphics can help you find the right promotional health products, at the right price. To find out more, just give us a call at 800-721-1663 or contact us today.